Meet the team supporting transformative technology startups. Brian Benson is the Director of Entrepreneurship and Commercialization at the California NanoSystems Institute (CNSI), responsible for all aspects of the Magnify incubator and driving strategic initiatives that support the growth of entrepreneurship and industry alliances for the Institute. 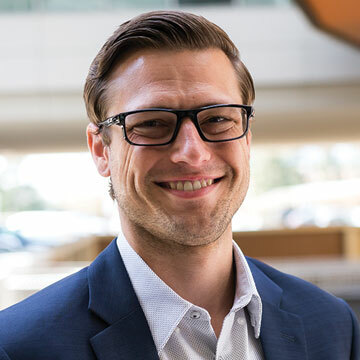 Prior to joining CNSI, Brian was the Portfolio and Alliance Manager at Children’s Hospital Los Angeles as well as the Program Manager of the Consortium for Technology and Innovation in Pediatrics, an FDA funded pediatric medical device accelerator. He also held positions as Crew Chief, Product Development Specialist, and Marketing Strategist with several automotive racing teams. He received his B.B.A. in Entrepreneurship from Loyola Marymount University. 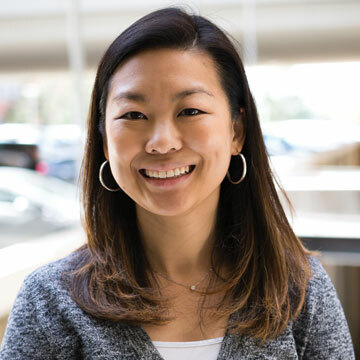 Angie Jun is the Business and Operations Associate at the California NanoSystems Institute (CNSI). She focuses on programmatic and operational support for the Magnify incubator. In her previous role, she held responsibilities in contract and grant administration for the Institute. Prior to joining CNSI, Angie was a Fund Manager in the Dept. of Pathology & Laboratory Medicine and Grants Project Specialist with the Jonsson Comprehensive Cancer Center at UCLA. Her previous experience also includes roles in sales and project management in several family-owned businesses. She earned her Bachelor of Business Administration from the University of San Diego. 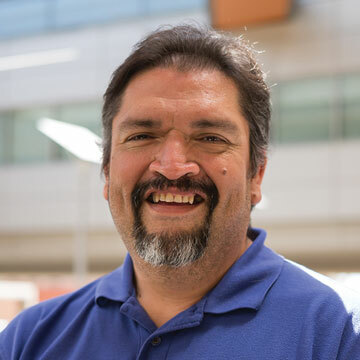 Frank Alcala is the Building and Incubator Specialist at the California NanoSystems Institute (CNSI). He assists with facility management and administrative operations for the Magnify incubator. He has over 20 years of experience on the UCLA campus having previously supported the Dept. of Chemistry & Biochemistry as supervisor of research and chemical storerooms. In addition, he is experienced in inventory management and logistical support having previously worked at BioHorizon Medical, a compression therapy and wound care supplier.